A musical group is a fragile entity, like a dandelion in the fist of a small child. The whole enterprise is lucky to last for five minutes, let alone a few years. A hundred things, both big and small, can poison it, fracture it, or tear it asunder. But if that group scores a hit, anybody — from the original members, to replacements, to managers, to record companies — can milk the name for-ever. The Dell-Vikings formed in early 1955 when the guys were all stationed at the same Air Force base in Pittsburgh. Nobody remembers how they got their name, but the chemistry proved instantaneous. As an interracial group, they were quite progressive for the time, but they fit right in with the growing ranks of doo-wop groups where the quality of your sha-na-nas and doo-be-doos trumped all else. After entering the annual nationwide Air Force talent contest only a few months into their existence, and then finishing second–just missing a chance to perform on the Ed Sullivan Show–The Dell-Vikings came to the sharp-eared attention of a local DJ who asked to manage them and began circulating their demo tape. Every major and minor record company turned them down, until a tiny independent label in Pittsburgh called Fee Bee decided to take a chance. The group recorded their first single, “Come Go With Me,” at a nearby studio run out of the Sheraton Hotel. The song started gaining regional traction — perhaps helped in part by a little push from their manager/DJ — and the somewhat larger Dot Records bought the rights to distribute nationally. 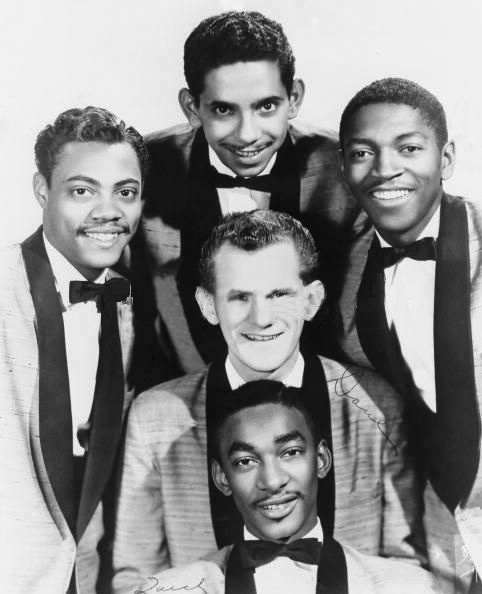 Sales of “Come Go With Me” took off with the more muscular promotional power of Dot, and the single peaked at #4 on the pop chart in the spring of 1957. Everything’s good, right? Wine, women and song for the foreseeable future, yes? Not quite. Here’s where things go awry. Even as “Come Go With Me” moved up the charts, The Dell-Vikings’ new manager extricated four-fifths of the group from their contract because they were under 21 when they signed it. This freed them up to sign a more lucrative deal with Mercury Records, a major label. This also left one-fifth of the group out in the cold. Having been discharged from the Air Force, but still under the original contract with Fee Bee, Mr. One-Fifth grabbed a few more guys and continued recording…under the same name. So now there were two Dell-Vikings releasing competing singles and touring. This went on for a couple of years until both groups called it quits. For about 5 minutes. The early 60s brought a reformation and a mind-boggling number of permutations continued to record and perform — even to this day — under the name The Dell-Vikings. There are more details, but the full tale is far too labyrinthine for this simple scribe. And all because their first single was a smash hit in 1957.